Joseph J. Allen Inner Way is a call to reawaken the critical ministry of spiritual direction in which a person, whether in a life crisis or merely seeking Christian growth, can make great spiritual gains. The author, an Orthodox Christian priest, writes from within the tradition which gave birth to the practice of spiritual direction. As such, Fr. Allen's book is a view "from the inside," reflecting both theory and practice. The study's central focus is the exploration of spiritual direction as a ministry of the Eastern Church in dialogue with anthropology, sociology, and psychology. Fr. 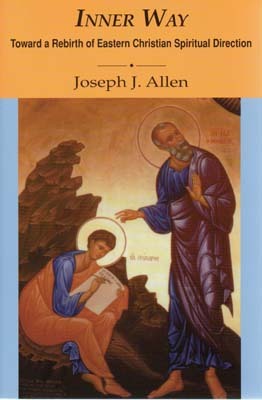 Allen provides a needed resource for all Christians - and especially counselors, spiritual guides, and pastors - who seek to traverse the inner way.